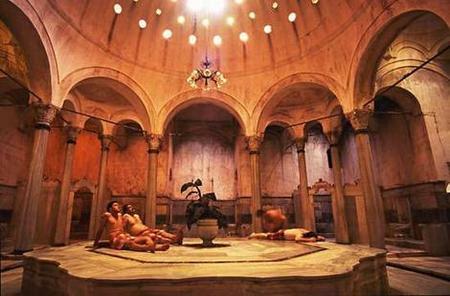 Picture: Inside the Cagaloglu Hamam in Istanbul. Having often travelled through Asia I regularly get rejuvenated in spas. Therefore I got to see a wide variety of spas from the luxurious Thai spa in Chiang Mai to the very traditional outdoor hot-spring Onsen in Japan. So when I read about the legendary Turkish bath (or Hamam) I knew that I had to go one day. Upon my recent visit to Istanbul the opportunity came up and I went to the famous Cagaloglu Hamami on Yerebatan Road near the Grand Bazar in Istanbul. This marble-clad Hamam under a dome with little holes for light features in Patricia Schultz’s book “1000 places to see before you die”. It was built in 1741 and has been visited by royals and modern-day celebrities. Today the Hamam is a tourist attraction and this is where the problem starts: the Hamam gets swamped by tourists. They are greeted by the grumpy Turkish staff with “Turkish courtesy”, aka an inefficiency that shows the deep-rooted disinterest in the foreign tourists. Therefore the staff prefers to bark orders; no warm Asian greetings here! After changing in a small wooden cubicle I wrapped a towel around me and tried to walk to the Hamam in the awkward wooden clogs provided to me. A big Turkish masseur with a generous tummy manoeuvred me to a marble pedestal and made me sit down before vigorously scrubbing me with a rough glove. I also got shampooed and scrubbed all over while sitting on the wet floor. After about ten minutes the treatment was over and the Turkish masseur indicated to me that he expects some generous tipping after before leaving the Hamam. By then I was glad that I did not go for a massage as I saw other tourists literally being pummeled under the strong hands of pot-bellied Turkish masseurs (almost all of them had big moustaches). I soaked a bit longer in the marble-clad room before gladly leaving. Would I recommend going again? Well, if you like being touched all over by a grumpy pot-bellied Turkish brute with moustache, go ahead. Otherwise I can recommend any other Asian spa! 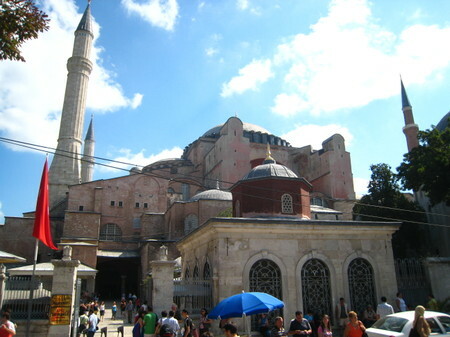 Picture: The ancient Hagia Sophia church in Istanbul. 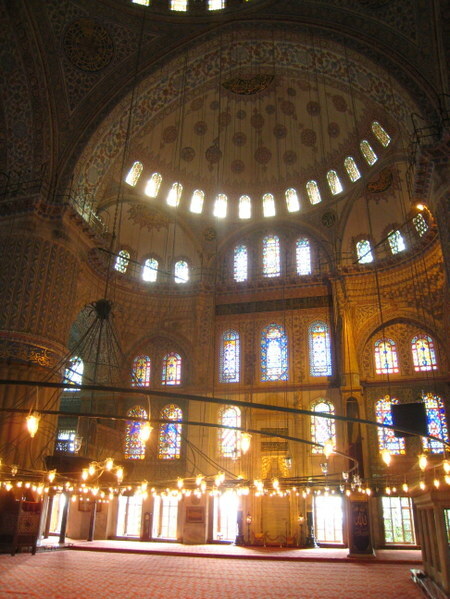 Picture: The impressive "Blue Mosque" in Istanbul.